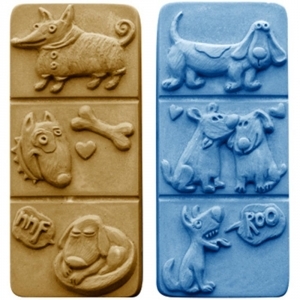 Our Break Away Dogs Milky Way Soap Mold features six different images of adorable pups. Perfect for dog lovers, this mold creates bars you can break apart for individual soaps or leave whole for larger bars. Dimensions: 4.5" x 2.25" x .75"
Notify me when Break Away Dogs Soap Mold is in stock.